This past May, just in the nick of time for my daughter's 5th birthday party, I finished building a treehouse in our yard for her. It was a project that, all told, really took about two years from "We should build a treehouse" to "Look, we have a treehouse!" In the end, it looked like this. There were a lot of times during the treehouse construction days I'd wished there was more information out there, specifically for the kind of treehouse I had in mind -- I'll get into particulars later, but basically I wanted a treehouse that was a "real" tree house, e.g. in the tree and fully supported by the tree. There are a tons of resources on tree house building out there that deal with post-supported types of houses. Those are fine, but (as you see) we had a big tree to work with, and it struck me that we shouldn't have to use anything else for support. I also didn't want to spend a lot of money building the treehouse -- for no better reason than we didn't have a lot to spend. That precluded what would have been some costly but time-saving methods, such as using a cherry-picker or scaffolding to get places. But importantly it also meant designing and building the treehouse myself -- and, for the most part, that's what happened. I didn't buy any treehouse plans, I didn't have to hire treehouse builders, and with the exception of the my wife pitching in at a couple of critical moments, I wound up doing all the work myself. There was a kit involved, although it wasn't a complete treehouse kit by any stretch (more on that later) and it required a lot of extra parts and modifications, as well as a "from scratch" support system and a home-built method of getting in and out of the thing. At any rate, over the past two years I've learned a lot about tree house construction, and came up with some (I think) pretty good solutions to problems that might plague other folks who set out to build their own tree houses. My wife suggested I get it all down somewhere before I started forgetting specifics. So it's the story of how we started out falling in love with our great big tree, and wound up with a unique and wonderful treehouse my daughter (and her friends) enjoy a lot. I'll try to include as many pictures as I can (we took a bunch) and if questions come up that need to be answered, I'll try to get to those as well. 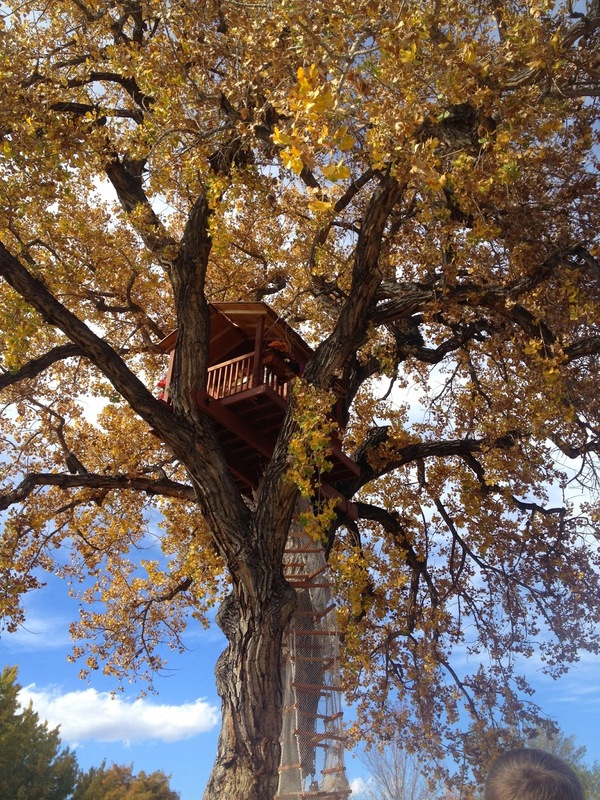 Bottom line on building a treehouse: it was totally worth it. You should build one, too. Hopefully this will help.